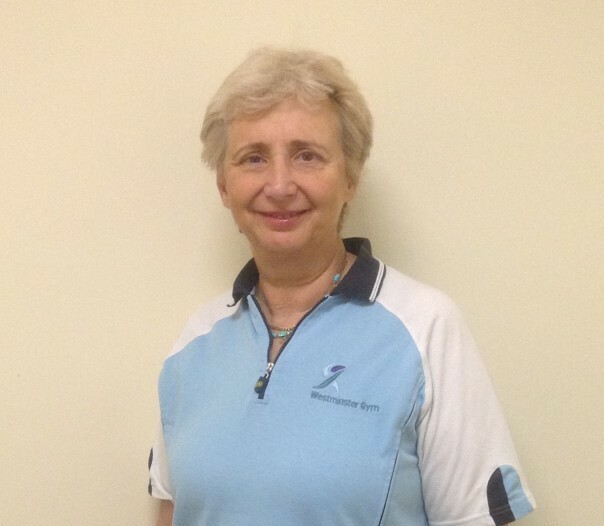 Dorit Chomer, a volunteer Fitness Instructor at Jubilee Hall Trust’s Westminster Gym, has been nominated for the Spirit of Flame at the UK Active Flame Awards, the most prestigious awards for the health, fitness & physical activity sector. Dorit came to Jubilee Hall Trust through the InstructAbility programme and is a true inspiration to disabled people who want to live a more active lifestyle. She knows about the challenges people face when they think about coming to the gym as she injured her spine in a parachute jump about 30 years ago. Thankfully, she recovered the use of her legs, and managed to get active again, even with her back problems. Since her accident, she has suffered two strokes and recently had to undergo heart surgery. In addition, she has been diagnosed with bipolar disorder and has experienced periods of severe depression. Despite these setbacks, she personally aspires to get more people, more active, more often, by breaking down the barriers to exercise and acting as a role model. Through the InstructAbility programme, Dorit qualified as a gym instructor, and now works two days per week as a volunteer at the Westminster Gym in the Houses of Parliament. Clients have described her as ‘a true inspiration’ and she is certainly that! We hope that when the public voting opens on 28th April on the UK Active website www.ukactive.com that people vote for her!